Resin from the Boswella serrata tree found in parts of Asia and Africa is commonly used in traditional Ayurvedic medicine for a variety of disorders associated with inflammation. It has been used medicinally for centuries and is now gaining support through research. The main ingredients of the resin are boswellic acids. Boswellic acids have anti-inflammatory effects when applied topically. Preparations using either the resin or pure boswellic acid extracted from the resin can help treat inflammatory disorders such as osteoarthritis, eczema, and psoriasis. The extract helps reduce sun damage, fine lines, and acne. It stimulates collagen production. Also, it aids in wound healing and inhibits tumor growth. Research shows boswella serrata extract has a variety of useful anti-inflammatory effects and can help alleviate the symptoms of a variety of conditions. This extract has been popularized as Boswelox™ by L’Oreal and its Wrinkle-de-crease. NOTE: To assist you with solubility issues, we now also sell Boswellia serrata (Boswelic acid) as a liquid standardized pre-dissolved solution. Just add the liquid to your cream and mix well. 16% solution gives 1% Boswelic Acid content in final product. 46% solution gives 3% Boswelic Acid content in final product. 66% solution gives 5% Boswelic Acid content in final product. Boswella serrata is a deciduous tree found in subtropical India, Ethiopia, Somalia, and the Arabic Pennisula (5). The fragrant gum extract of this tree, known commonly as frankincense, is used in traditional Indian Ayurvedic medicine and traditional Chinese medicine to treat inflammatory disorders and tumors (2, 5, 9). 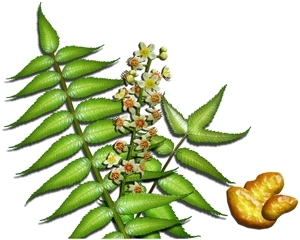 The active ingredients of boswellia serrata tree gum are boswellic acids. This component accounts for up to 30% of the weight of the gum (5), while up to 16% of the gum is pure essential oil (4). Boswellic acids are specific chemicals with either α or β chemical confirmations. The most common and well-studied boswellic acid is β-boswellic acid (7). The main effects of boswellic acids are anti-inflammatory. Boswellic acids help reduce many sources of inflammation in the body. The accepted mechanism for the anti-inflammatory effect of boswellic acids is through inhibiting the formation of leukotrienes (1, 6, 7). Leukotrienes are immune mediators produced by immune cells and play an important role in inflammation. Boswellic acids are unique in that they specifically target an enzyme that forms leukotrienes, 5-LO (6). Research shows boswellic acids also inhibit the actions of inflammatory mediators that cause loss of collagen and elastic fibers in the skin (1). Boswellic acids also increase the activity of fibroblasts, cells that make collagen (1). Many studies, both in vitro (outside the body) and in vivo (inside the body), point to this extract’s usefulness in topical treatment of many dermatological conditions. One of these is photoaging, chronic skin damage due to excessive sun exposure. In a clinical study, a cream containing 0.5% boswellic acid improved the appearance of fine lines and skin roughness associated with photoaging and increased skin thickness (1, 5). In another clinical study, a 0.5% boswella serrata extract cream improved 70% of psoriasis cases and 50% of eczema cases (8). 60% of participants had decreased redness and itching. Psoriasis and eczema are inflammatory skin conditions and are two of the most common dermatological disorders (8). Application of 15% boswella serrata resin extract on wounded rats resulted in decreased wound surface area and increased tensile strength of the wound (4). The extract promotes faster wound healing. Boswellic acids also inhibited edemas (fluid trapped underneath skin) in mice and rats (7). Boswella serrata extract also has antimicrobial properties useful for dermatological applications (10). Treatment with the extract inhibited the growth of anaerobic (oxygen-independent) and aerobic (oxygen-needing) bacteria, including streptococcae, corynebacteria, C. perfringens, and P. acnes. This suggests a role for boswella serrata in treatment of conditions such as acne and eczema, two conditions that can result in painful and visible symptoms (10). As bacterial resistance becomes an increasing problem, this extract has the potential to bring relief. In addition to improving dermatological conditions, topical application of boswella serrata shows promise for a variety of non-dermatological diseases. One of these is osteoarthritis. Topical application of a boswellic acid (275mg) cream to osteoarthritic joints of mice showed decreased cartilage loss and synovitis (inflammation of a membrane lining the joint) (9). The amount of boswellic acid in the joint was 2-6 times the amount in the blood, showing that boswellic acid can reach the joint with topical application. In vitro experiments with the explanted mouse joints show boswellic acid treatment inhibits inflammatory mediators (9). Another study shows topical application of 2.5%-7.5% boswellic acid in rats can improve arthritis (7). Additionally, topical application of boswella serrata gum extract to the backs of mice inhibited tumor promotion (3). BulkActive's extract of Boswellia serrata is standarized at 65% for the active triterpenoids, named boswellic acids. 1. P. Calzavara-Pinton, C. Zane, E. Facchinetti, R. Capezzera, and A. Pedretti, “Topical Boswellic acids for treatment of photoaged skin,” Dermatologic Therapy, vol. 23, pp. 28- 32, 2010. 2. C. Dohling, “Boswellia serrata (Frankincense) – from Traditional Indian medicine (Ayurveda) to evidence-based medicine,” Phytomedicine, vol. 15, issues 6-7, pp. 540, June 2008. 3. M.T. Huang, V. Badmaev, Y. Ding, Y. Liu, J.G. Xie, and C.T. Ho, “Anti-tumor and anti- carcinogenic activities of triterpenoid, beta-boswellic acid,” Biofactors, vol. 13, issues 1- 4, pp. 225-230, 2000. 4. A. Mallik, D. Goupalea, H. Dhongadeb, and S. Nayak, “Evaluation of Boswellia Serrata oleo-gum resin for wound healing activity,” Der Pharmacia Lettre, vol. 2, issue 2, pp. 457- 463, 2010. 5. A. Pedretti, R. Capezzera, C. Zane, E. Facchinetti, and P. Calzavara-Pinton, “Effects of Topical Boswellic Acid on Photo and Age-Damaged Skin: Clinical, Biophysical, and Echographic Evaluations in a Double-Blind, Randomized, Split-Face Study,” PlantaMed, vol. 76, pp. 550-560, Nov. 2009. 6. M.Z. Siddiqui, “Boswellia Serrata, A Potential Antiinflammatory Agent: An Overview,”Indian J Pharm Sci. vol. 73, issue 3, pp. 255-261, June 2011. 7. S. Singha, A. Khajuriaa, S.C. Tanejaa, R.K. Johria, J. Singha, and G.N. Qazi, “Boswellic acids: A leukotriene inhibitor also effective through topical application in inflammatory disorders,” Pytomedicine, vol. 15, issues 6-7, pp. 400-407, June 2008. 8. S. Togni, G. Maramaldi, F. Di Pierro, and M. Biondi, “A cosmeceutical formulation based on boswellic acids for the treatment of erythematous eczema and psoriasis,” Clinical, Cosmetic and Investigational Dermatology, vol. 7, pp. 321–327, November 2014. 9. Q. Wang, X. Panxa, H.H. Wong, C.A. Wagner, L.J. Lahey, W.H. Robinson, and J. Sokolove, “Oral and topical boswellic acid attenuates mouse osteoarthritis,” Osteoarthritis and Cartilage, vol. 22 , pp. 128-132, 2014. 10. S. Weckessera, K. Engela, B. Simon-Haarhausa, A. Wittmerb, K. Pelzb, and C.M. Schempp. “Screening of plant extracts for antimicrobial activity against bacteria and yeasts with dermatological relevance,” Phytomedicine, vol. 14, issues 7-8, pp. 508-516, August 2007.